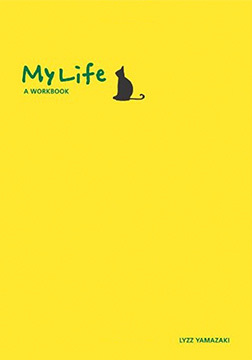 A new approach to self help, from the experience of fourteen years in self-improvement counseling, the author Lyzz Yamazaki, gives readers the opportunity to realize the same results achievable through live sessions in this one compact book. Two-hundred and fifty-four questions developed by the author help readers discover their true selves through reflection and searching. "It's energizing to be told that you're lucky, but if you don't know yourself, there's not much you can do with that information." For those looking for a change in life, doing the exercises in this book will help you realize desires, forgotten memories, and who you really are. Released in Japan November 2005, this book has sold 24,000 copies. The author, Lyzz Yamazaki, is an experienced and prominent therapist, who has conducted over 15,000 sessions. Including this book, she has written many therapy books based on her experience and knowledge, and is a well known and popular writer in Japan. Her books have sold an accumulated total of 250,000 copies. Out of her many books, My Life gives virtually the same effect as actual therapy and has been acknowledged effective by many readers. Lyzz Yamazaki is a therapist specializing in Trauma. Lyzz lived in Los Angeles for fourteen years and proposed self-improvement based on therapy and psychology. Currently, she treats patients through individual sessions, telephone consultation, and correspondence courses. Also, she writes books and trains future therapists.